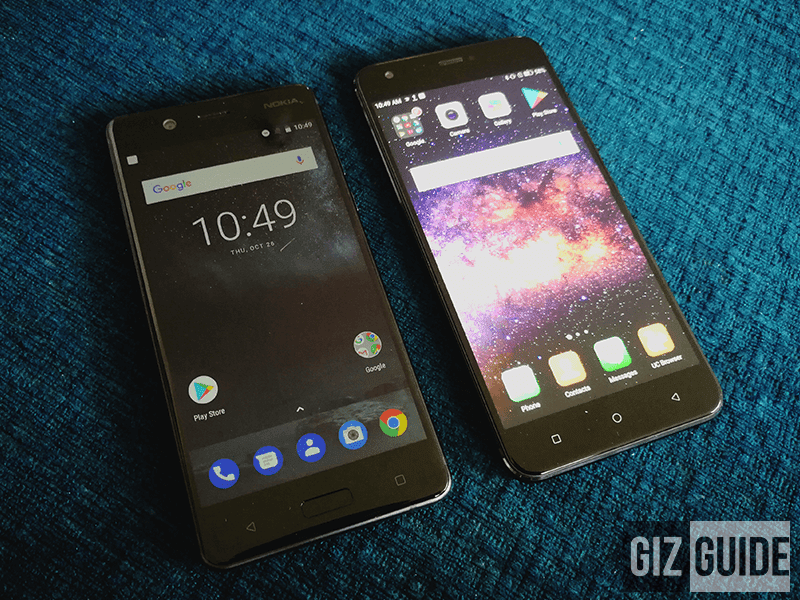 The Nokia 5 and Cloudfone Excite Prime 2 Pro are two of the more popular sub PHP 10K phones in the market right now? Why? Both has good specs for the price. Who's the better deal on paper? It's also the reason why we are often asked on who's the better deal between the two. To answer that, here's our initial comparison based on their specs. This comparison proved that the Nokia 5 is a strong offering in its class. It also has the best build and ergonomics among all sub PHP 10K smartphones that we have as of this moment. The processor is also quite speedy, it has good cameras, and the promise of sure Oreo update. But, this specs on paper comparison also showed how aggressive Cloudfone is! Why? Compared w/ the Nokia 5, the Excite Prime 2 Pro has a bigger and sharper 5.5-inch FHD screen, double the RAM at 4GB, 4x the storage size at 64GB, Quick Charge 3.0 tech, and much better camera specs.